Lately I've been considering dying my hair a bit redder for fall. I didn't want to go completely permanent, in case it would turn out as a disaster somehow, so I decided to use henna. I haven't colored it yet, but when I do, I'll most likely film it as a tutorial. 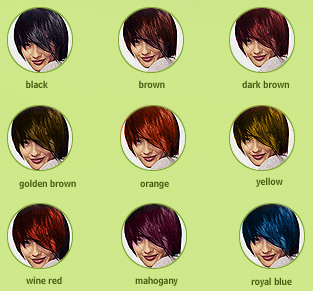 I have absolutely no idea of what shade it will become, as my hair is quite dark already, so wish me luck! I like wine red and royal blue!)) Orange is also cool! Yes those are all really nice! Maybe I'll try one of them next time!